Dashcam Video: click here. More campground dashcam videos are available on our dashcam page. Date(s) of Stay: January 15, 2016 arrival; January 28, 2016 departure; previous stay in January 2014 and January 2015. Rainbow Springs State Park, which is the 4th largest spring in Florida, consists of more than 1,470 acres and has three main entrances – the campground, the tubing entrance and the headsprings entrance. 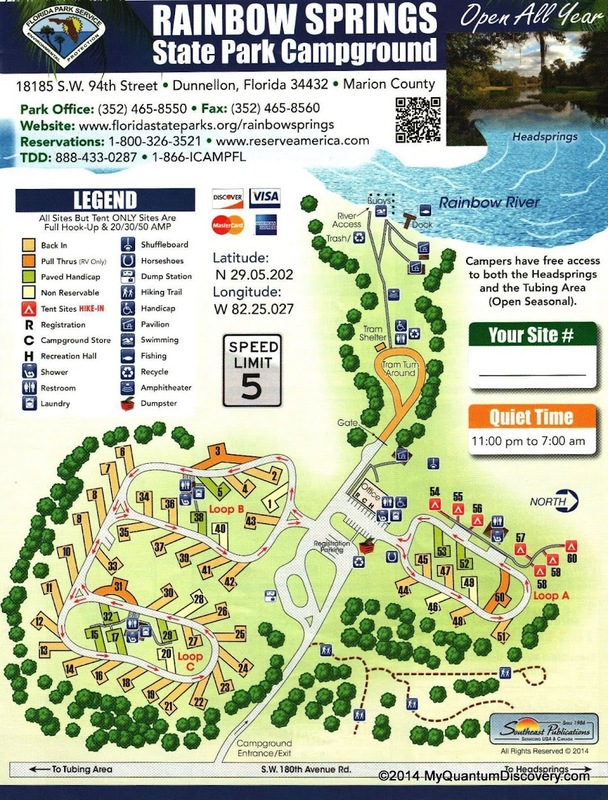 The campground is on the east side of the Rainbow River with the entrance located on SW 180th Avenue Road about two miles north of County Road 484 and two miles south of State Road 40. The Headsprings Entrance which is for day use only is on the west side of the Rainbow River and is located three miles north of Dunnellon on the east side of U.S. 41. The tubing entrance, also on SW 180th Avenue Road, is where visitors intent on tubing the river can park (seasonal only, we have never been there when it was open). A tram will then transport you to the t ubing launch area next to the campground. Then you can float the two miles downstream to the tubing exit back at the tubing parking area. Also be aware that near the intersection of U.S. 40 and U.S. 41, there is a narrow underpass that is 14’1″ high. Definitely do NOT trust your GPS to take you to the correct entrance. The correct Lat/Lon for the campground is 29.086765,-82.416991 and is shown in the map above. Each of the 60 gravel sites have water and electric (20, 30, and 50 amp), sewer hook-ups, a picnic table and a fire ring. Most (but not all) are pretty private due to all of the growth surrounding each site. Loops B & C (sites 1-43) in our opinion are the best as most sites are quite large and spacious. The sites on A loop (44-51) aren’t as private or big and we would recommend avoiding them. 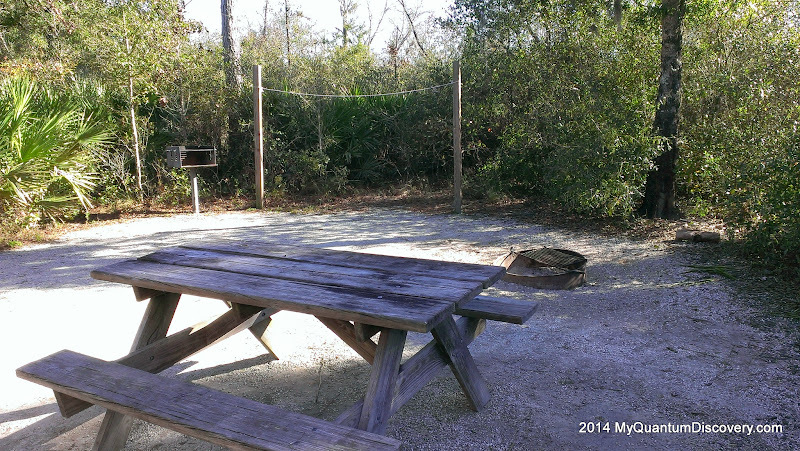 During one of our visits we stayed on site 9 – that particular site was 72′ in length and very private.The picnic table and fire ring were tucked away to the side and were not visible from the road. $30.00 per night, plus tax, plus a non-refundable $6.70 reservation fee. 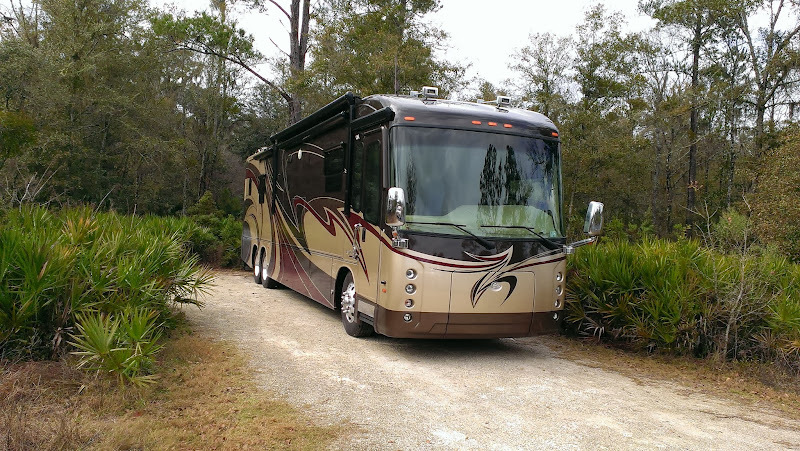 Florida residents who are 65 years of age or older or who hold a social security disability award certificate or a 100 percent disability award certificate from the Federal Government are permitted to receive a 50 percent discount on current base campsite fees. Proof of eligibility is required. 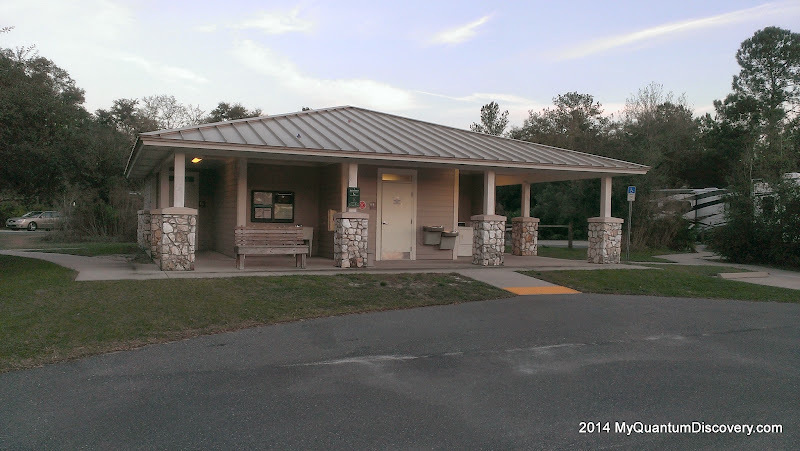 We totally love this park, probably one of our favorite Florida State Parks! 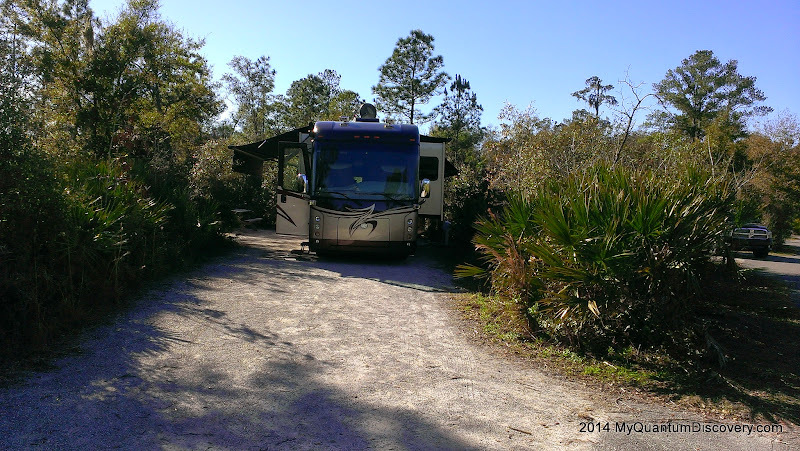 Can’t beat the very natural setting, the full hookups, large gravel sites (maximum RV length is 103 ft) and plenty of vegetation providing privacy between many of the sites. Besides the great sites, another reason we love it here is there is so much to do. Bird watching (there is a resident bald eagle who hangs out in a pine tree behind site #6), fishing, kayaking, biking, touring the Headsprings grounds, etc. Bike or walk along the private tram road to the river boardwalk and dock area where the tubing exit is located. Note we’ve only been here in the colder months when the tubing area is closed so not sure if there are any restrictions for biking the tram road. When tubing is in full swing on the river, it must be really busy. We have heard that on 4th of July weekend, over 11,000 people will visit here. 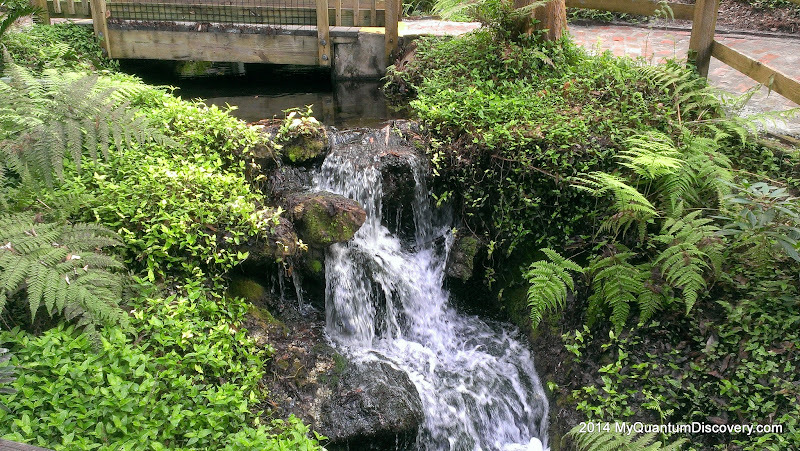 A short drive from the campground is the Rainbow Springs Headsprings, another favorite of ours. A definite must see! Lot of history here as it used to be an amusement park back in the 1930’s. It even had a monorail in the ’60’s! Paved walking paths laced with beautiful azaleas, live oaks and magnolias, three waterfalls, a natural butterfly garden and the crystal clear water of the springs. This trail offers both river and phosphate pit overlooks and is approximately 2.5 miles long. Big rig friendly with sites ranging in size from 42 to 103 feet. Loops B & C (sites 1-43) in our opinion are the best as most sites are quite large and spacious. However, avoid sites 1, 2, 4 & 43 which have no privacy at all. The sites on A loop (44-51) are also not very private (with the possible exception of pull thru site 50) and we would recommend avoiding them. We would favor sites 5-24 along the outer perimeter for privacy, with sites 7-10 looking particularly deep and private. Site 3 is a pull thru with some privacy on the living side. We’ve stayed on sites 6, 9, 18 & 30 – our favorites were 9 & 18 which had great privacy and good satellite reception. Site 30 was directly across from the bath house and had less privacy but good sat reception. Amenities include a recreation hall, showers and restrooms (clean and modern), laundry and playground. Short walk to the river. Daily canoe and kayak rentals are available. 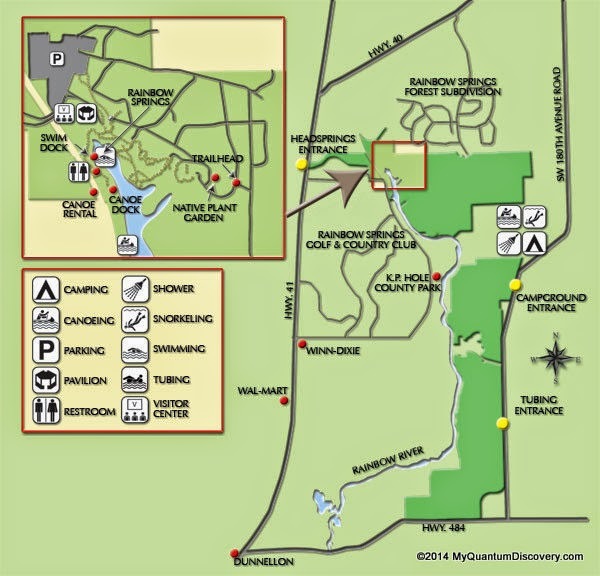 The campground is located about 6 driving miles from the Headsprings, which is a magnificent first magnitude freshwater spring that pumps 500 million gallons of water per day. Definitely worth a visit. Fairly convenient to grocery stores (approximately 2 miles), Walmart (3 miles) and several restaurants. Beautiful surroundings, lots of lush vegetation. Nice wide paved roads throughout the campground. Driveway to sites are angled so backing in is fairly easy. Sites are big enough so vehicles are not parked in the roadway which often makes maneuvering into a site difficult but that’s not the case here. No problem maneuvering our 43′ tag axle rig. During our stays here, usually in January or February, it’s been very peaceful and quiet. During the summer, it might be a completely different story as more people are here visiting the area to tube on the river. Sewer – all sites have sewer. Most are well placed with threaded cap. 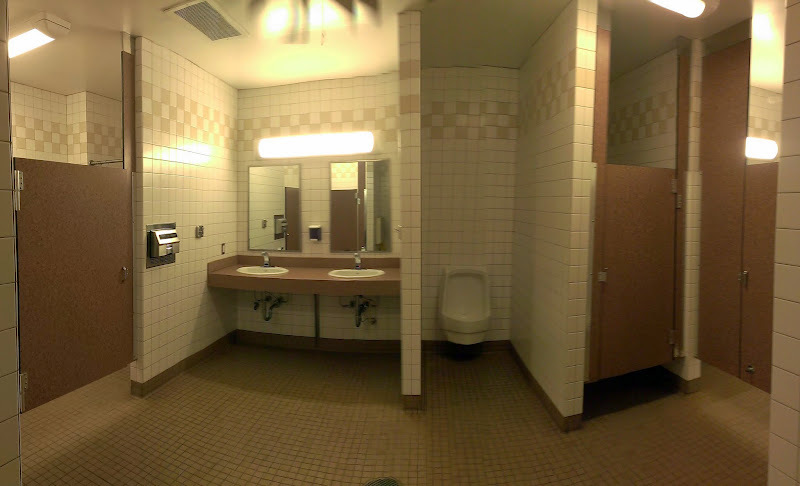 Satellite – depends on the site. We didn’t have any issue with satellite reception (DISH Western Arc) on sites 6, 9, 18 or 30. Due to the number and location of trees, sites 11-16 will almost definitely have issues with satellite. Cellular signal – adequate 4G Verizon inside and out without a booster. Over-the-Air (OTA) TV – limited. Power – 120+ voltage on both of the 50A legs. We had no issues. Water Pressure/Quality – Adequate 40+ psi pressure. Strong Florida swamp water odor but no noticeable turbidity. – 2 week State Park stay limit!